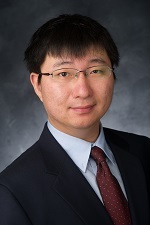 Dr. Xun Zhou is currently a tenure-track Assistant Professor in the Department of Management Sciences, Tippie College of Business at The University of Iowa. He is also part of the Iowa Informatics Initiative and the Interdisciplinary Graduate Program in Informatics (IGPI). Xun received a Ph.D. in Computer Science from the University of Minnesota, Twin Cities in June 2014, under the supervision of Prof. Shashi Shekhar. Prior to that, he received Bachelor's and Master's degrees both in Computer Science and Technology from Harbin Institute of Technology, Harbin, China in 2007 and 2009, respectively. He was advised by Prof. Jianzhong Li during Master study. February 2019 - Received a grant from SAFER-SIM University Transportation Center, University of Iowa. December 2018 - One paper accepted by SDM 2019. October 2018 - One paper accepted by AAAI 2019. Congratulations to Amin! September 2018 - One paper accepted by IEEE Transactions on Big Data (TBD). September 2018 - Amin passed his thesis proposal exam. Congratulations to Amin! May 2018 - One paper accepted by KDD 2018. Congratulations to Zhuoning! April 30, 2018 - gave a talk in the Department of Computer Science and Engineering Colloquium at the University of Minnesota. April 2018 - One paper accepted by IEEE Transactions on Big Data (TBD). Congrats to Yichen! April 2018 - Call for Papers: Geoinformatica Special Issue on Analytics for Local Events and News (Deadline August 15 September 30). 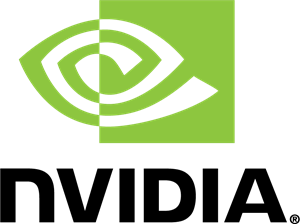 December 2017 - NVIDIA GPU Grant (hardware). November 2017 - I will be teaching a research seminar course in Spring 2018 - MSCI:7000 Spatial Big Data: Analtyics and Computing. October 2017 - Presented a poster at CCC Symposium on Computing Research: Addressing National Priorities and Social Needs 2017. Video of me introducing our research on event footprint analytics. September 2017 - One paper accepted by IEEE BIBM 2017. September 2017 - Gave a talk in Computer Science Colloquium, University Iowa. August 2017 - One paper accepted by ACM SIGSPATIAL GIS 2017. Congratulations to Amin and Ling! July 2017 - One paper accepted by the 6th International Workshop on Urban Computing (UrbComp 2017) in conjunction with ACM KDD 2017. June 2017 - Co-organizing 1st ACM SIGSPATIAL Workshop on Analytics for Local Events and News (LENS 2017) in conjunction with ACM SIGSPATIAL GIS 2017. Submission deadline: August 31 September 7, 2017. May 2017 - [Call for Paper]: Big Data and Cognitive Computing (BDCC) Special Issue on "Learning from Big Data: Scalable Algorithms and Novel Applications"
April 2017 - Springer's Encyclopedia of GIS, 2nd Edition (co-edited with Prof. Shashi Shekhar and Prof. Hui Xiong) has been published. See details at Springer's website. I'm looking for students to work on topics in spatial computing and data mining. Interested students are invited to talk to me (if on campus) or contact me with your CV. Desired background: Major in CS/EE/MIS or related disciplines. My general research interests include spaito-temporal big data analytics and mining, spatial databases, and GIS. Specifically, I'm interested in using data mining, machine learning, and other analytical methods to address societal application questions related to smart cities, urban intelligence, sustainability and public safety. Xun Zhou (PI), Cara Hamann (Co-PI), Steven Spears(Co-PI). Understanding Bicyclists' Behaviors Through Learning from Big Trip Data. SAFER-SIM University Transportation Center, University of Iowa. $60,000. 7/1/2019 - 12/31/2020. Xun Zhou (PI), "CRII: III: Discovering Complex Change Footprint Patterns on Spatio-temporal Big Data for Urban Sustainability", NSF CISE Research Initiation Initiative (CRII), $155,767. 7/1/2016-6/30/2019. Xun Zhou (PI) and Zubair Shafiq (PI), "Heterogeneous Network Data Analytics to Improve Urban Sustainability". Summer Interdisciplinary Research Grant 2016, Obermann Center for Advanced Studies, University of Iowa. $12,000, June 2016. Shashi Shekhar, Hui Xiong, Xun Zhou (eds. ), Encyclopedia of GIS, 2nd Edition, Spring 2017. [New] Amin Vahedian Khezerlou, Xun Zhou, Ling Tong, W. Nick Street, Yanhua Li. Predicting Urban Dispersal Events: A Two-Stage Framework through Deep Survival Analysis on Mobility Data. In AAAI 2019 (Accepted, acceptance rate = 16%). Amin Vahedian Khezerlou, Xun Zhou, Ling Tong, Yanhua Li, Jun Luo. Forecasting Gathering Events through Continuous Destination Prediction on Big Trajectory Data. In Proceedings of ACM SIGSPATIAL GIS 2017, Article 34, 10 pages. DOI: https://doi.org/10.1145/3139958.3140008 (full paper. Acceptance rate = 18%). Amin Vahedian Khezerlou, Xun Zhou, Lufan Li, Zubair Shafiq, Alex Liu, and Fan Zhang. A Traffic Flow Approach to Early Detection of Gathering Events: Comprehensive Results. In ACM Transactions on Intelligent Systems and Technology (TIST), 8(6) (2017): 74. Xun Zhou, Amin Vahedian Khezerlou, Alex Liu, Zubair Shafiq, Fan Zhang. A Traffic Flow Approach to Early Detection of Gathering Events. In 24th ACM SIGSPATIAL International Conference on Advances in Geographic Information Systems (ACM SIGSPATIAL 2016). (Accpted as full paper, acceptance rate = 18%). [New] Menghai Pan, Yanhua Li, Xun Zhou, Zhenming Liu, Rui Song, Hui Liu, Jun Luo. Dissecting the Learning Curve of Taxi Drivers: A Data-Driven Approach. In SIAM International Conference on Data Mining (SDM) 2019 (Accepted, acceptance rate = 22.7%). Huigui Rong*, Xun Zhou*, Chang Yang, Zubair Shafiq, Alex Liu. The Rich and the Poor: A Markov Decision Process Approach to Optimizing Taxi Driver Revenue Efficiency. In Proc. 25th ACM International Conference on Information and Knowledge Management (CIKM), pp. 2329-2334, Indianapolis, IN, Oct. 2016 (* co-first authors)(Acceptance rate (full + short) = 28.9%). Yichen Ding, Yanhua Li, Xun Zhou, Zhuojie Huang, Simin You, Jun Luo. Sampling Big Trajectory Data for Traversal Trajectory Aggregate Query. IEEE Transactions on Big Data (TBD). doi:10.1109/TBDATA.2018.2830780. (To appear). Zhuoning Yuan, Xun Zhou, Tianbao Yang. Hetero-ConvLSTM: A Deep Learning Approach to Traffic Accident Prediction on Heterogeneous Spatio-Temporal Data. In Proc. 24th ACM SIGKDD International Conference on Knowledge Discovery from Data (KDD), pp. 984-992, August 2018, London, UK. ACM. Zhuoning Yuan, Xun Zhou, Tianbao Yang, James Tamerius, Ricardo Mantilla. Predicting Traffic Accidents Through Heterogeneous Urban Data: A Case Study. In 6th ACM KDD International Workshop on Urban Computing (UrbComp 2017), Halifax, NS, Canada. James D. Tamerius, Xun Zhou, Ricardo Mantilla, Tina Greenfield-Huitt. Precipitation Effects on Motor Vehicle Crashes Vary by Space, Time, and Environmental Conditions. Weather, Climate, and Society, 8(4), 399-407, 2016. Emre Eftelioglu, Shashi Shekhar, Dev Oliver, Xun Zhou, Michael Evans, Yiqun Xie, James Kang, Renee Laubscher, and Christopher Farah. Ring-Shaped Hotspot Detection: A Summary of Results. 14th IEEE International Conference on Data Mining (ICDM 2014). Dev Oliver, Shashi Shekhar, Xun Zhou, Emre Eftelioglu, Michael Evans, Qiaodi Zhuang, James Kang, Renee Laubscher and Christopher Farah. Significant Route Discovery: A Summary of Results. In Proc. the 8th International Conference on Geographic Information Science (GIScience 2014), Vienna, Austria, September 2014. M. T. Lash, M. Zhang, X. Zhou, C. F. Lynch, and W. N. Street. Deriving Enhanced Geographical Representations via Similarity-based Spectral Analysis: Predicting Colorectal Cancer Survival Curves in Iowa. International Journal of Data Mining and Bioinformatics (IJDMB), accepted. Xiangyu Wang, Apoorva. Joshi, Xun Zhou, Kang Zhao, "Social Support and User Churn Prediction for Online Health Communities -- A Trajectory-based Deep Learning Method". In Proc. 28th Workshop on Information Technologies and Systems (WITS), Santa Clara, CA, USA, 2018. Xun Zhou, Shashi Shekhar, Reem Y. Ali. "Spatiotemporal Change Footprint Pattern Discovery: an Inter-disciplinary Survey". WIREs Interdisciplinary Reviews: Data Mining and Knowledge Discovery (DMKD), Volume 4, Issue 1, pages 1-23, 2014. Xun Zhou, Shashi Shekhar, Dev Oliver. "Discovering Persistent Change Windows in Spatiotemporal Datasets: A Summary of Results". In 2nd ACM SIGSPATIAL International Workshop on Analytics for Big Geospatial Data (BigSpatial-2013), Nov 5, 2013, Orlando, Florida, USA. (Best paper award). Xun Zhou, Shashi Shekhar, Pradeep Mohan. "Spatiotemporal Change Pattern Mining: A Multi-disciplinary Perspective". (Book chapter) in Mei-Po Kwan, Douglas Richardson, Donggen Wang and Chenghu Zhou (eds): Space-Time Integration in Geography and GIScience: Research Frontiers in the US and China. Dordrecht: Springer (in Press). Zhe Jiang, Shashi Shekhar, Xun Zhou, Joseph Knight, and Jennifer Corcoran. "Focal-Test-Based Spatial Decision Tree Learning". IEEE Transactions on Knowledge and Data Engineering (TKDE). Zhe Jiang, Shashi Shekhar, Xun Zhou, Joseph Knight, and Jennifer Corcoran. "Focal-Test-Based Spatial Decision Tree Learning: A Summary of Results". In 2013 IEEE International Conference on Data Mining (ICDM'13). Pradeep Mohan, Xun Zhou, Shashi Shekhar. Quantifying Resolution sensitivity of spatial autocorrelation: A Resolution Correlogram approach. In Proc. of 7th International Conference on Geographic Information Science (GIScience 2012), Columbus, OH, USA, September 18-21, 2012. Michael McDermotta, Sushil Prasad, Shashi Shekhar, Xun Zhou, Interesting Spatio-Temporal Region Discovery Computations Over Gpu and Mapreduce Platforms, ISPRS Annals of Photogrammetry, Remote Sensing and Spatial Information Sciences, vol 1, 2015, 35-41 (Best Paper Honorable Mention at 1st International Symposium on Spatio-temporal Computing (ISSC)). Sushil K Prasad, Shashi Shekhar, Michael McDermott, Xun Zhou, Michael Evans, Satish Puri: GPGPU-accelerated interesting interval discovery and other computations on GeoSpatial datasets: a summary of results. Proceedings of the 2nd ACM SIGSPATIAL International Workshop on Analytics for Big Geospatial Data, pp.65-72, Oralnado, FL, Nov. 2013. Sushil K. Prasad, Shashi Shekhar, Xi He, Satish Puri, Michael McDermott, Xun Zhou, Michael Evans. 2013. GPGPU-based data Structures and Algorithms for GeoSpatial Computation A Summary of Results and Future Roadmap. Position paper. Procs. The All Hands Meeting of the NSF CyberGIS project. Seattle, Sept.
Xun Zhou, Betsy George, Sangho Kim, Jeffrey M. R. Wolff, Qingsong Lu, Shashi Shekhar, Evacuation Planning: A Spatial Network Database Approach. IEEE Data Engineering Bulletin 33(2): 26-31 (2010). Mohamed Sarwat, Mohamed F. Mokbel, Xun Zhou, Suman Nath. FAST: A Generic Framework for Flash-Aware Spatial Trees. In Proceedings of the 12th International Symposium on Spatial and Temporal Databases (SSTD 2011), Minneapolis, MN, August 2011, pp. 149-167 (Best research paper award). MSCI 4220 (former 06K:186) Advanced Database Management and Big Data, University of Iowa, Spring 2015, Spring 2016, Spring 2017, Spring 2019. MSCI 9230 (former 06K:230) Database Systems (Master in Business Analytics), University of Iowa, Fall 2014, Fall 2015, Spring 2016. CSCI 8715: Spatial Database Research (Co-Instructor), University of Minnesota, Fall 2013. Program Committee Member, INFORMS Workshop on Data Science, 2018. Program Committee Member, AAAI 2019. Program Committee Member, IEEE ICDM 2018. Program Committee Member, ACM SIGSPATIAL 2018. Program Committee Member, ACM CIKM 2018. Poster Co-Chair, ACM SIGSPATIAL GIS 2018. Program Committee member, 6th ACM SIGSPATIAL Workshop on Big GeoSpatial Data Analytics (BigSpatial'17), 2017. Co-Organizer, 1st ACM SIGSPATIAL Workshop on Analytics for Local Events and News (LENS) in conjuction with ACM SIGSPATIAL GIS 2017 conference at Redondo Beach, CA. Co-Guest Editor, Big Data and Congnitive Computing (BDCC) Special Issue on "Learning from Big Data: Scalable Algorithms and Novel Applications". Program Committee Member, ACM SIGSPATIAL International Conference on Advances in Geographic Information Systems (GIS), 2017. Program Committee Member, ACM International Conference on Information and Knowledge Management (CIKM'17). Program Committee Member, 15th International Symposium on Spatial and Temporal Databases (SSTD'17). Serving as Poster Co-Chair of ACM SIGSPATIAL GIS 2017. Program Committee member, IEEE ICDM Workshop on Spatial and Spatiotemporal Data Mining (SSTDM), 2016. Program Committee member, ACM SIGSPATIAL Workshop on Big GeoSpatial Data Analytics (BigSpatial'16), 2016. Program Committee member, 24th ACM SIGSPATIAL International Conference on Advances in Geographic Information Systems (ACM SIGSPATIAL 2016). Session Chair, "Urban Data Analytics and Mining", INFORMS Annual Conference 2015, 2016. Program Committee member, ACM SIGSPATIAL Workshop on Big GeoSpatial Data Analytics (BigSpatial'15), 2015. Program Committee member, IEEE ICDM Ph.D. Forum 2015. Program Committee member, IEEE ICDM Workshop on Spatial and Spatiotemporal Data Mining (SSTDM), 2015. Program Committee member, IEEE ICDM Workshop on Spatial and Spatiotemporal Data Mining (SSTDM), 2014. Program Committee member, ACM SIGSPATIAL 2014 PhD Symposium. My research has been supported by National Science Foundation, NVIDIA Corporation, and the Safer-Sim University Transportation Center.